There is nothing more elegant than a hand Tailored Suit, carefully crafted by Con Murphys Suit Store in cork City. Call in today & talk about the possibilities, Choose from the material, colour and fit that you want, and we deliver the best fitting suit you ever had! Whether you are thinking of a Made-to-Measure Suit, or a Made-to-Measure Shirt, look no further. 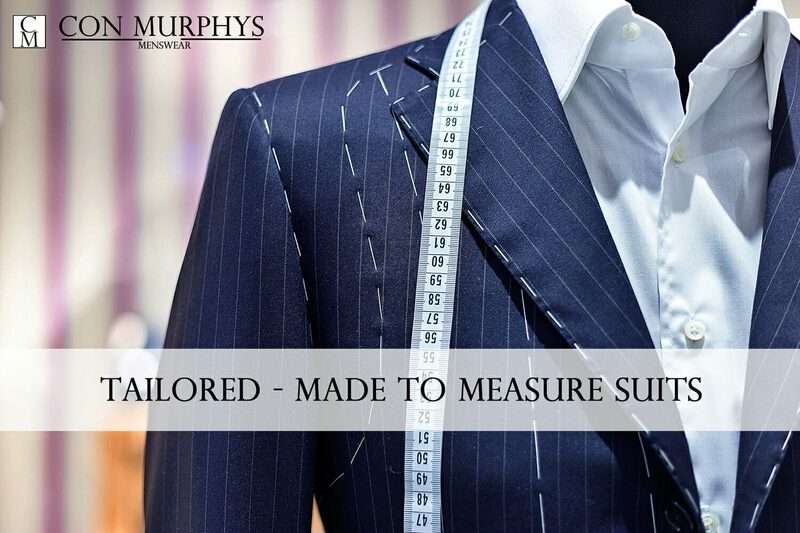 With over 80 years experience in quality tailoring, Con Murphys knows how to measure you, and fit you properly. Nothing fits like a made-to-measure garment. No matter what manufacturer you choose for a ‘garment off the shelf’ there will always be alterations needed, or style details omitted. The best way to satisfy all needs, is to have a garment made specifically for you. A suit is one essential item in a man’s wardrobe. At the very least, every man ought to have in his arsenal one good suit. However, the truth is that different events in life often demand for different kinds of attire and buying multiple suits is a luxury that very few can comfortably afford. The fashion industry tends to change pretty fast and you must ensure your style of dressing changes with it. Many people will be surprised by the level of versatility you can actually get out of a single made-to-measure suit if you get in touch with the right store. The kind of tailored suits you get at Con Murphys Menswear takes you to a class not found in other suits. If you have never done it previously, buying a new tailored suit can not only be frustrating but tiresome. If formal wear is not your thing, it can be quite painful to spend a sizeable amount of money on something you are likely to rarely wear. However, it really doesn’t have to be like that. Every man, whether in Cork or anywhere else in the country, needs a good suit, and preferably a tailored suit. 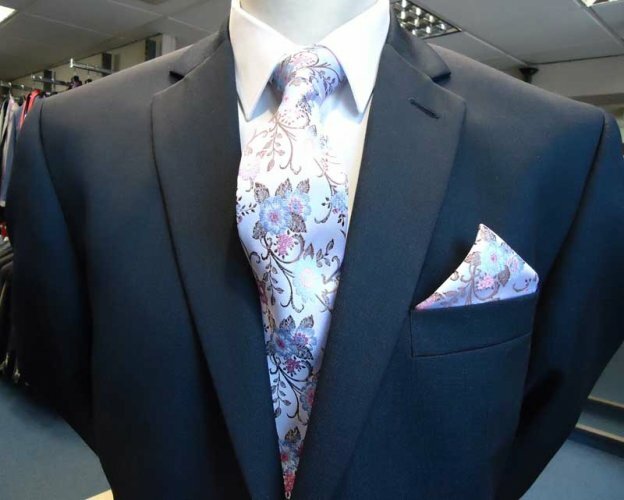 However, we at Con Murphys realise that not every man really knows how to go about choosing the right suit and that is why Con Murphy’s has developed the following couple of tips in that direction. We want you looking sharp. Most of the suits we make are for special occasions. When a man is getting married, naturally he wants to look his best. There is no better way to than Made to Measure to accentuate a man’s physique and style. We have been making suits since 1932. 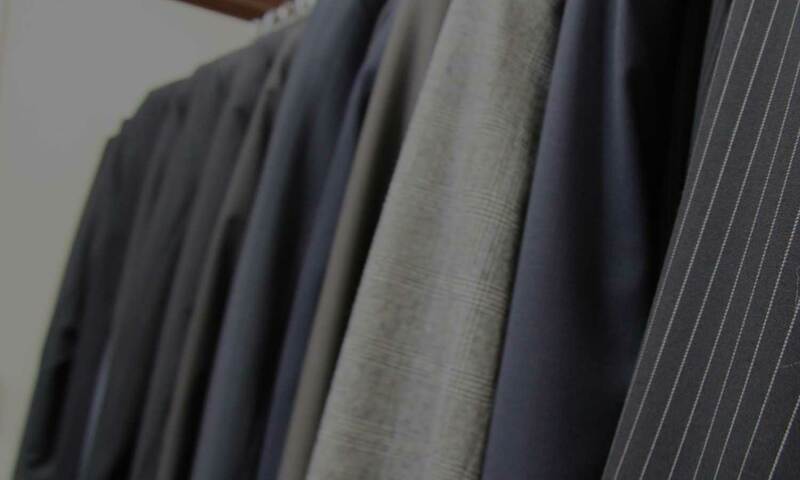 You can be assured that the knowledge that we have gained through our experience will be vital to help you choose the correct fabric and fitting for your occasion. If you are getting married, we will show you our Italian mill collection. These patterns are very fine (Super 100, 120, 130 & 150) They tailor impeccably, showing every curve of the wearers physique. These cloths are ideal for the tailored look. If you need a made to measure suit for an important business occasion, we will show you our collection of patterns from Irish and UK mills. These tend to be heavier patterns, and therefore more durable. A made to measure pin stripe suit sits very well in those very important business meetings. And we can make an appointment for you. The procedure will take approximately 1 hour for the 1st measure. We will firstly show you our complete fabric collection, and then advise you which fabrics will match your occasion. We will then ask you to try on some template fittings, to see what way you like your suit to fit. We have 4 different lengths to choose from, and we will recommend the length that will suit your build most. There are 3 different types of blocks (jacket fits) available, we will then recommend the block that will best suit your physique. The accessories then follow, How many pockets, Embroidery, Colour of Lining, Colour of Buttons etc. We will contact you as soon as your suit arrives, and we will ask you to call to our store again to get your final fitting. On 95% of the time, there won’t need any alterations, but sometimes we need to do some minor tailoring to complete the process. Getting a voucher for a made to measure Tailored Suit is something that every man wishes for. Buying gifts for men is a difficult task, but when you give him the ability to design his own suit which is long lasting and tailored to fit him, its a fantastic gift idea. The good news is though; people living in the Munster region and its surroundings can now be able to affordably rent the most exclusive suits from us. It is our work to ensure that we get you the most befitting suit. We understand well that fit always beats brand hands down. Therefore, we wouldn’t like you to face a situation where you go and buy a very expensive suit; only for you find out that the shoulders aren’t sitting quite right. The good thing about going for a rented suit from Con Murphy’s is that you have all the time to fit all sizes of suits before settling for the best fitting suit. Great shop to buy clothes. Excellent quality selection and service. The staff were so friendly and helpful. Great spot for a suit. Excellent range, great quality, and a very cool Phil Lynott tattoo. Amazingly well stocked, family owned store with incredibly attentive staff. We were so pleased with the service offered and we left with a beautiful suit, unique and well fitted. Would highly recommend and will definitely be returning in the future. A wonderful staple of Cork city! Amazing offers in Store! Come talk to us today about getting a personalised suit made just for you! Looking for a particular style of suit? why not contact us!